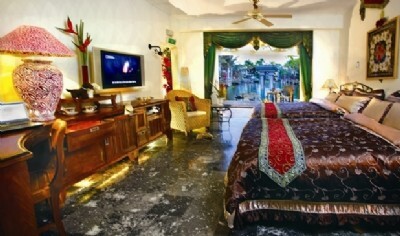 Swan Lake Villa Resort is ideally located at the intersection of Nanwan Rd. and Caotan Rd. in Pingtung County, Taiwan, within the beautiful Kenting National Park. Cingwashih, Eluanbi Lighthouse, Longluantan, Maobitou, Nanwan (South Bay), Sheding Nature Park and many other Kenting attractions are accessible in a short ride or walk. Set within the popular Taiwan destination for water activities and magnificent ocean sceneries, Swan Lake Villa Resort covers a spacious area of 34710 square meters with a delightful design inspired by Hawaiian architecture to create a relaxing accommodation environment. 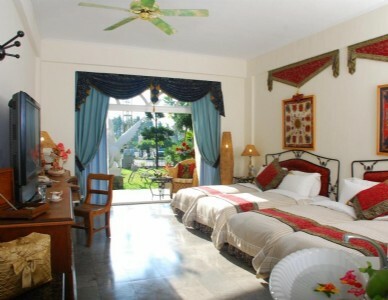 This Kenting hotel wonderfully faced Longluantan, which is perfect for bird-watching migratory birds in winter. In addition, Swan Lake Villa Resort is wonderfully fitted with 2 lakes and a white beach for guests that are looking forward to retreat into relaxations for their Taiwan travel.